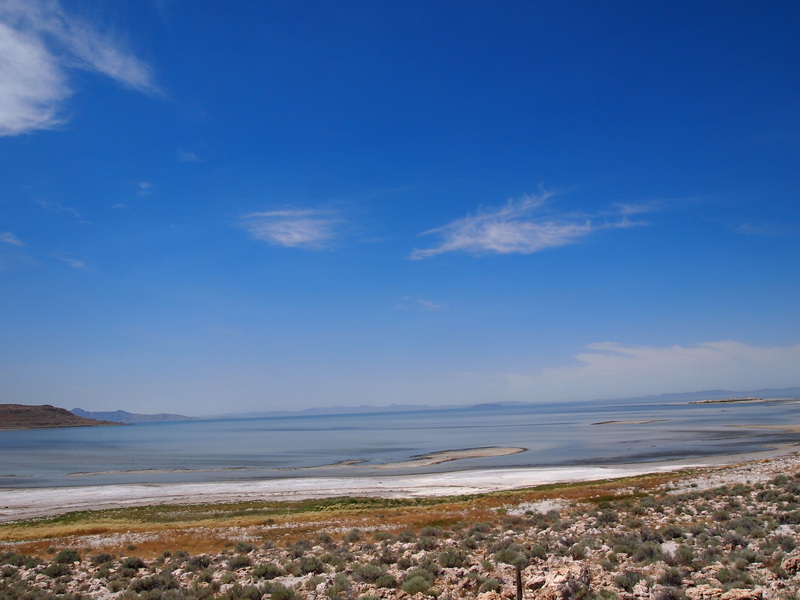 The first time we visited Antelope Island was in the summer of 2014. We were on our way back to Texas – soon to depart for Korea – and we stopped for the night to camp. We didn’t see any bison and Zach unsuccessfully attempted to swim in the Great Salt Lake, but that was it. That brief encounter founded our impression of the island until we moved to Salt Lake. Now, we take almost every visitor to Antelope Island. Its stark beauty enchants us, and we’re always shocked to hear that locals (worse, native Utahns!) haven’t been to the island yet. 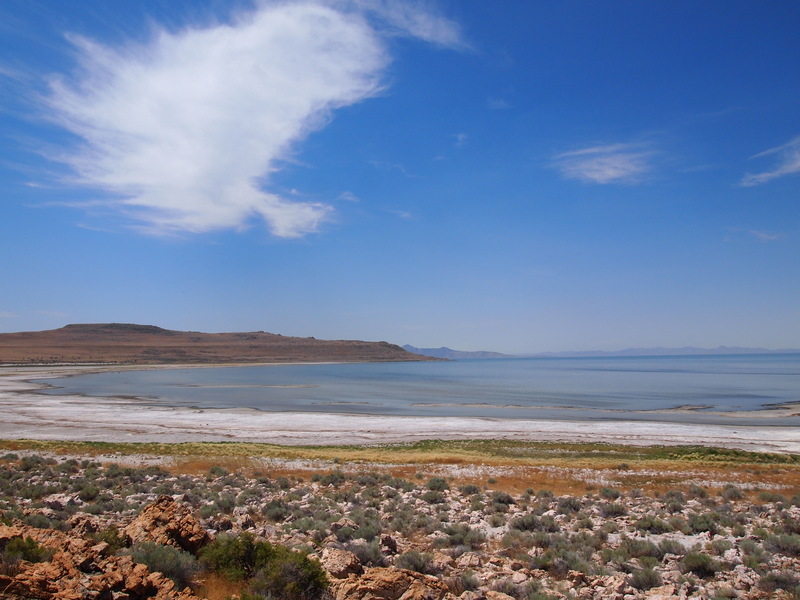 Roughly 45 minutes outside of downtown, Antelope Island is the largest island in the Great Salt Lake and the best place, in my opinion, to get a sense of the lake’s beauty. The island is 28,000 acres but the majority of the park is located on the northern end. Easy to tour by car, there are a couple viewpoints worthy of getting out and stretching your legs – Ladyfinger Point and Buffalo Point. You can walk the short trails to viewpoints or simply admire the views from the parking lots. There isn’t a bad view on Antelope Island. Even the views from the Visitor Center are exceptional. 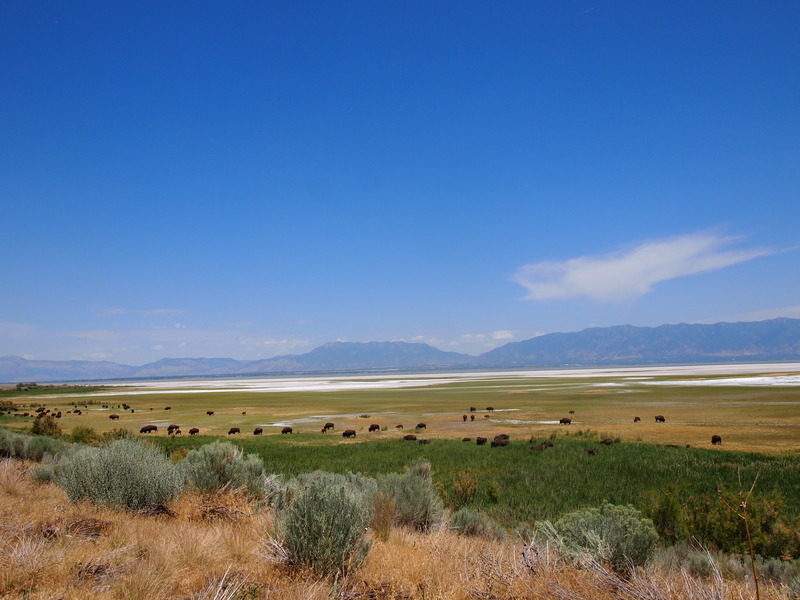 When John C. Fremont and Kit Carson explored the island in 1845, they christened it Antelope Island. Though pronghorn antelope are present on the island, it’s home to an array of wildlife (many of which were reintroduced once the state took over ownership of the island) – mule deer, bighorn sheep, coyotes, badgers, and most notably bison. The bison herd now numbers between 550-700, but originated with just 12 in 1893. Each fall, the bison herd is rounded up and some of its population is sold at auction. Since the island’s habitat can only support 550-700 bison and there are no predators large enough to naturally control the herd’s size, it’s essential that the park maintain the herd. It’s spectacular to see even a small fraction of the herd. On a couple of visits we’ve seen a handful of bison near the roadway. In June, we stumbled upon a large gathering on the east side of the island while on our way to the Fielding Garr Ranch. The island’s first recorded Anglo settler was a mountaineer named Daddy Stump. Little to nothing is known about him; I would love to know the origin of his name. 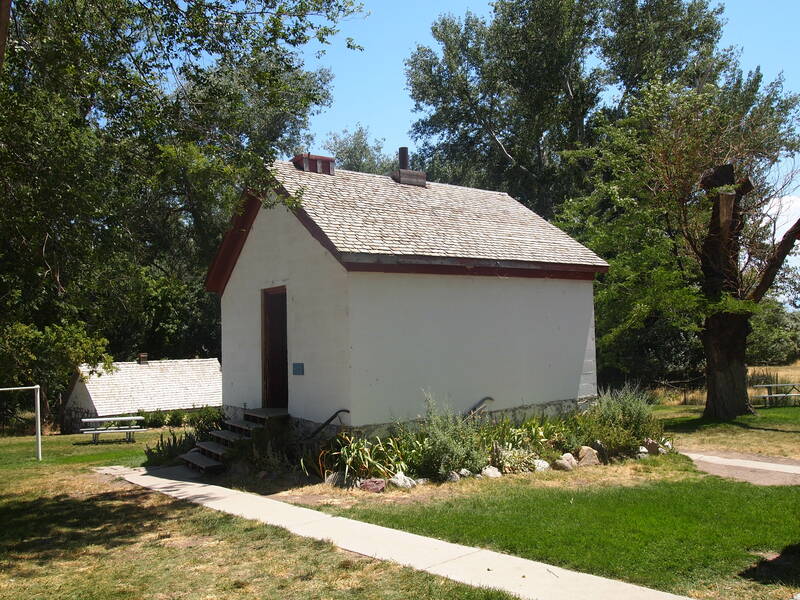 Fielding Garr was the first Mormon pioneer to settle on the island. He and his family were among the early pioneers to the Salt Lake Valley and originally settled on a lot in Salt Lake City. As families continued to arrive, Garr and a few others decided Antelope Island would be better suited for their livestock. 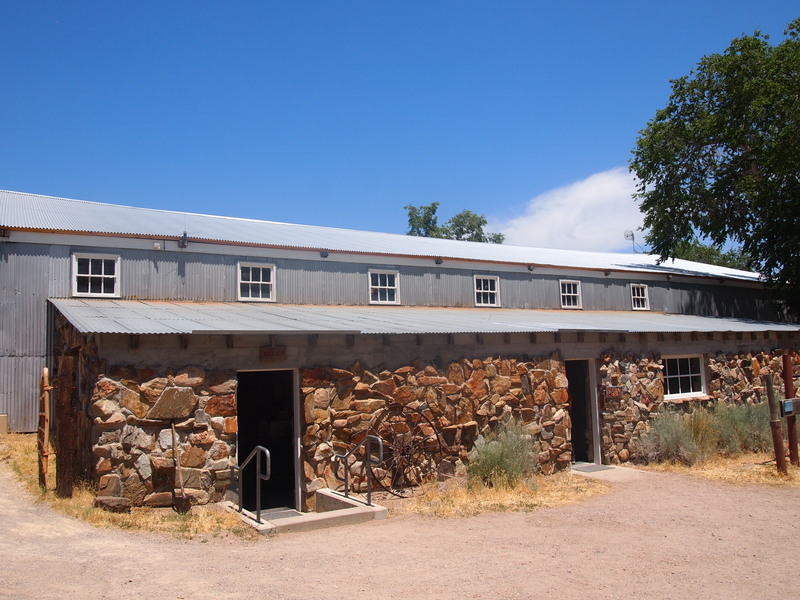 Garr’s family soon followed, and he built a five room adobe structure, now the state’s oldest Anglo-built structure. 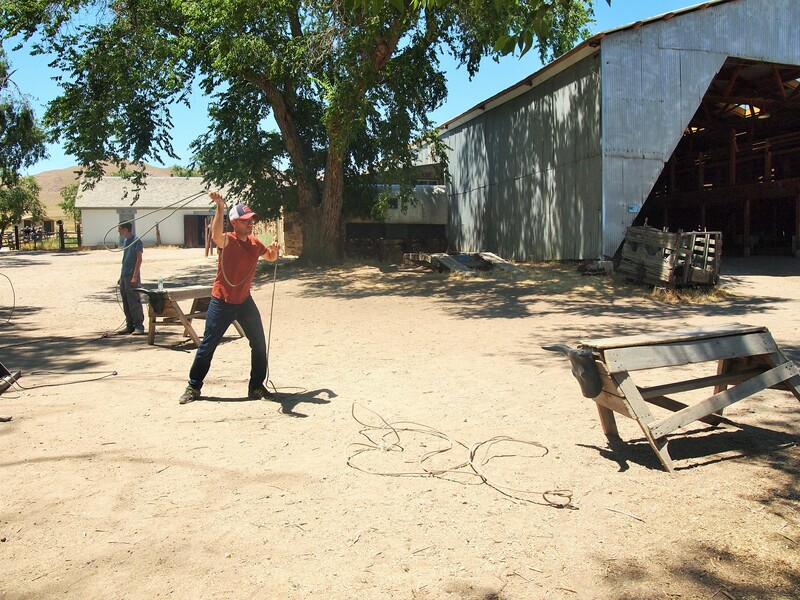 Ownership of the ranch passed through various hands after Garr’s death in 1855. 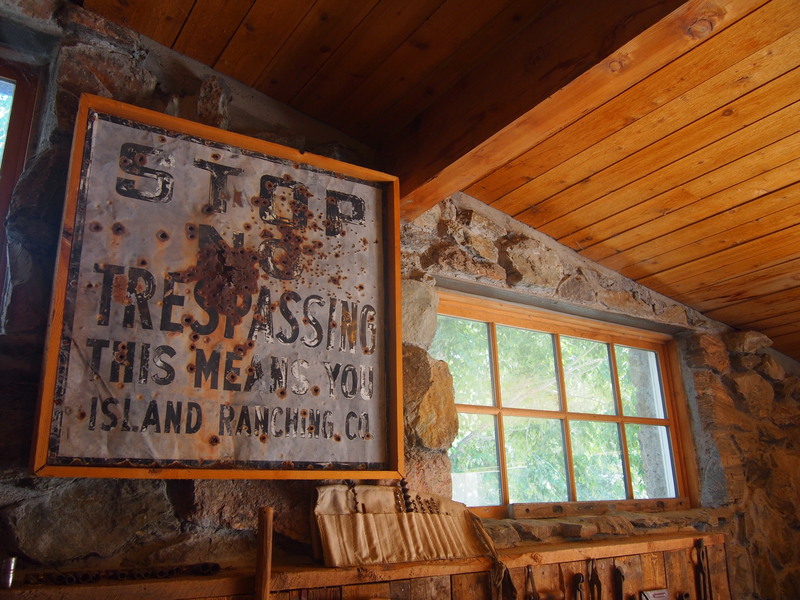 The state bought 2,000 acres on the northern end of the island in 1969 to create a state park, but didn’t buy the rest of the island until 1981. The park itself didn’t open until 1993. 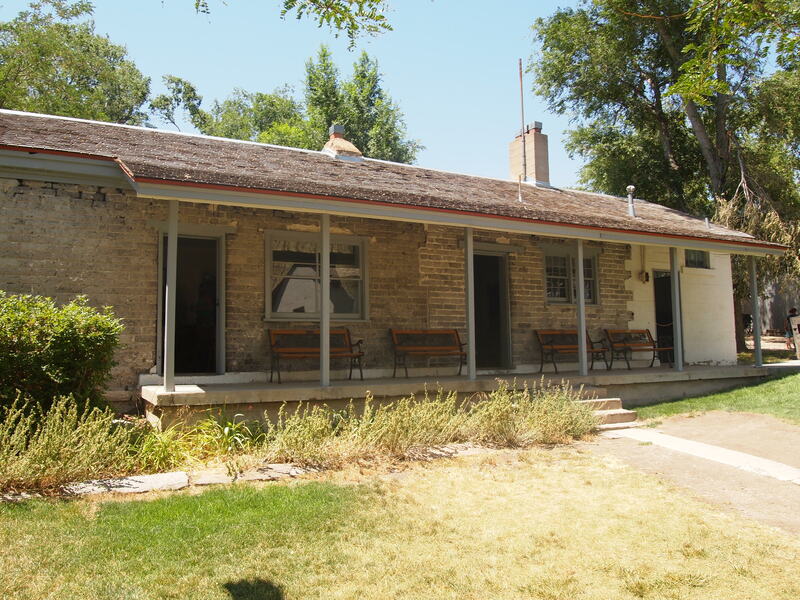 Visitors can tour the Fielding Garr Ranch and get a fascinating glimpse into the island’s pioneer history. The island has several miles of trails for hikers and mountain bikers and is often a destination for cyclists as well. The causeway connecting the northern section of the island with the mainland has a wide bike lane though the rest of the island’s roads aren’t quite as bike-friendly. The worst time to visit the island is while the no-seeums – biting gnats – are abundant from April to June. I told Zach as much and we still went out in early May. It was awful. You can buy fine mesh netting to fend them off, but honestly, it’s just not worth visiting if you have to see the island through a net. So far, fall is my favorite time to visit the island especially if the surrounding mountain peaks are blanketed with snow. 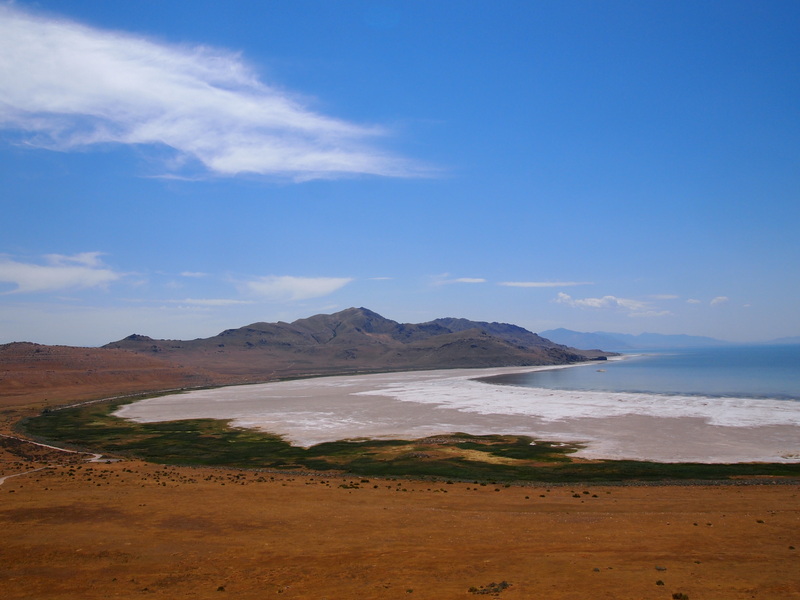 We love Antelope Island and if you visit us, you can probably expect that we’ll take you there! It’s well worth the drive out of the city to see an exceptional landscape. As we work our way through some of the island’s hiking trails, I’ll add a short description and photos. We did this short 6ish mile loop hike on a beautiful sunny day in February. The winter gate was still closed, so we added a little extra mileage with a quick walk to the trailhead. A large group of bison was grazing at the very beginning of this hike; it was the closest we’ve ever been to them without the barrier of a vehicle. In fact, we had to wait for them to stampede across the road before continuing on our way – incredible and terrifying. The rest of this hike was pleasant and quiet. There weren’t many other hikers out and the solitude was welcomed. At the loop split, we went left and were rewarded with a picturesque picnic spot with a view of the Great Salt Lake and the western side of the island. More hikers were heading in as we left, so our timing was perfect. We’ve done this trail twice now – first in early February when ice still covered much of the trail and again on a spring-like day at the beginning of March. The trail, just under 3 miles, connects Bridger Bay and White Rock Bay. It’s not entirely necessary to go the full length of the trail, so we haven’t. We start at the Bridger Bay trailhead (located within the campground) and follow the trail around Buffalo Point until it begins to curve east again. 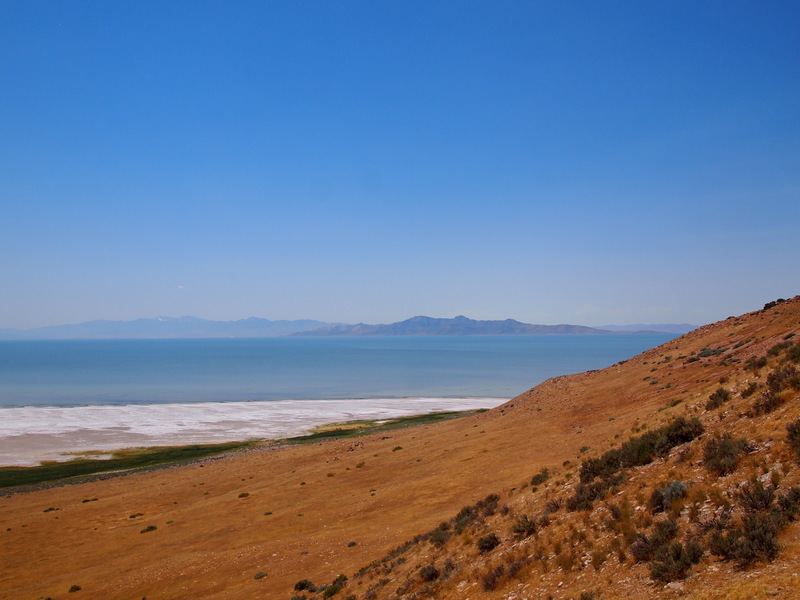 Gorgeous views dot the entire trail: a panorama of the Wasatch Range stretching north, the Great Salt Lake, Fremont Island, Stansbury Island, and even Frary Peak and the southern portion of Antelope Island. It’s a simple trail with big rewards. Since Zach was busy during the afternoon of my birthday, Tru and I went to Antelope Island for this relatively short hike. Just under 5 miles round trip, I wasn’t sure we would go the entire length to Beacon Knob, but it was such a short distance by the time we reached the trail split that I decided to go for it. I had to keep an eye on a couple of bison close(ish) to the trail, but Tru never seemed to notice. It wasn’t too cold on our way up, but the wind blew in our faces the entire way back making it a rough descent. This was the perfect trail for a short mid-day hike. I had great views of the island, the Great Salt Lake, and surrounding mountains. Not a bad way to spend my birthday. We’ve passed up this trail many times now, but finally completed it on a chilly overcast day in late January. We assumed the trail would be dry, but near the top parts of it were covered in a thick layer of ice. We made it up – Truman had no trouble at all – and were greeted with a gradually clearing sky. It was certainly worth the effort. We did this trail on the same overcast day as Buffalo Point. The trail was muddy from recent snow melt, but it was great to get outside and cure our cabin fever. You can start at various points along the trail as it parallels the eastern shoreline for 11 miles. We were looking for something short to give Tru a good workout, but not tax him since he’d been on crate rest lately. This was perfect.